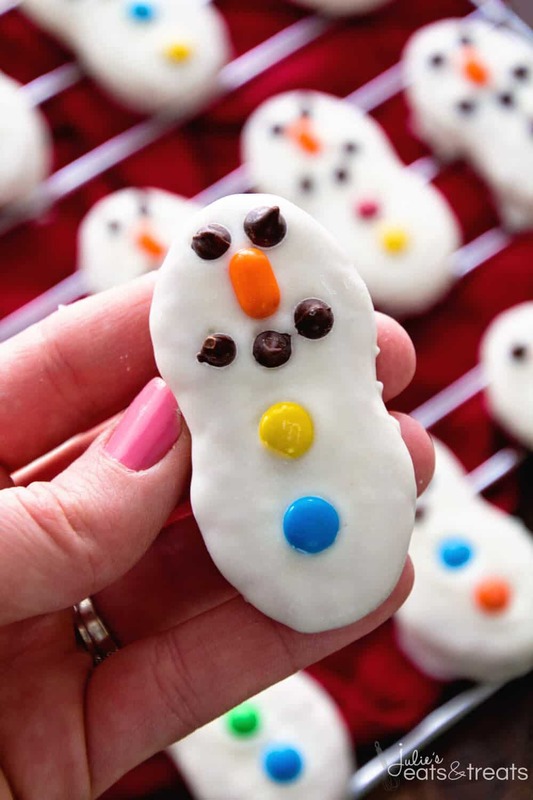 Snowman Cookies ~ Nutter Butter Cookies Dressed up as Cute Little Snowman for your Holiday Cookies! I love Christmas treats. 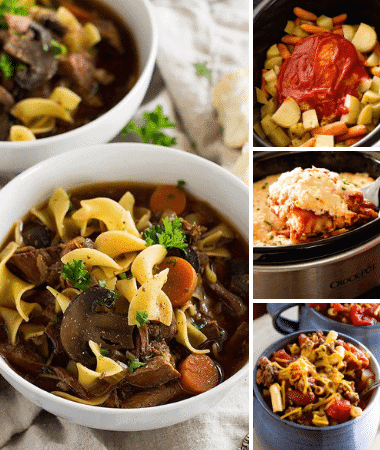 I love making them, I love eating them and I love sharing them. They are just fun all around! I spied these cuties on Pinterest. If you haven’t explored the wonderful world of Pinterest you are missing out and you NEED to go there now. 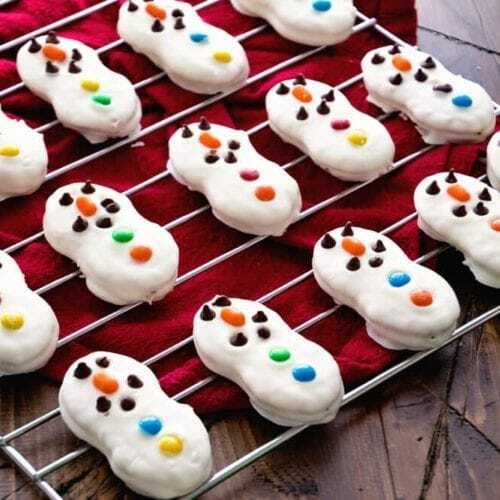 These are so adorable and so easy. I was intimidated by the looks of them and thought the would be a little bit time consuming but they really weren’t at all. Totally worth the time because they are so cute! I had a little help from my niece Hallie on these and it’s a fun activity for kids. She was in charge of the M&M decorating. I love sharing these memories with her. She did look at me half way through our Christmas treat day and inform me, “You know Julie you will have a little munchkin running around next year. How will we do this?” We decided we’d make Daddy take care of the munchkin and still have girls day! 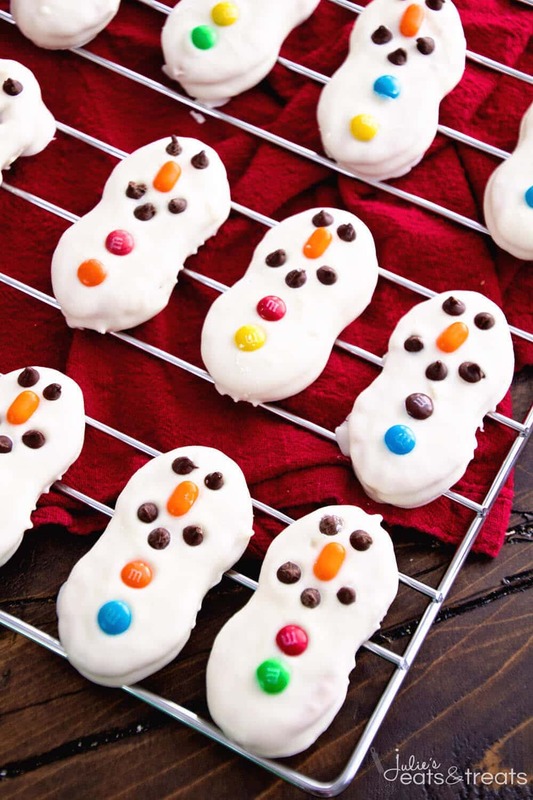 Nutter Butter Cookies Dressed up as Cute Little Snowman for your Holiday Cookies! Melt almond bark in double boiler. If you don’t have a double boiler you can microwave it. I find that melting it in the double boiler allows me more time to dip before it hardens again. 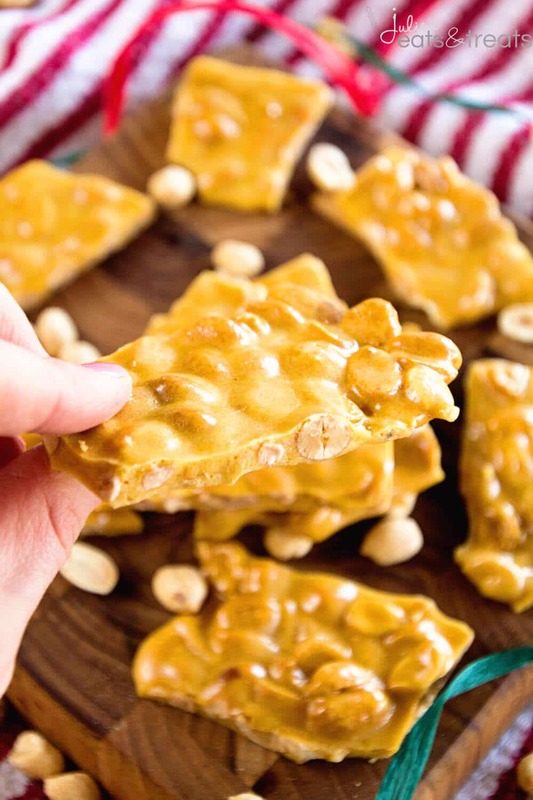 Dip Nutter Butter Cookies in the almond bark and lay on wax paper. Dip all the cookies. Then put the M&M’s on the cookies with the “M” face down for the buttons. Put one tic tac on the cookie for the nose. Add the mini chocolate chips for the mouth and eyes. 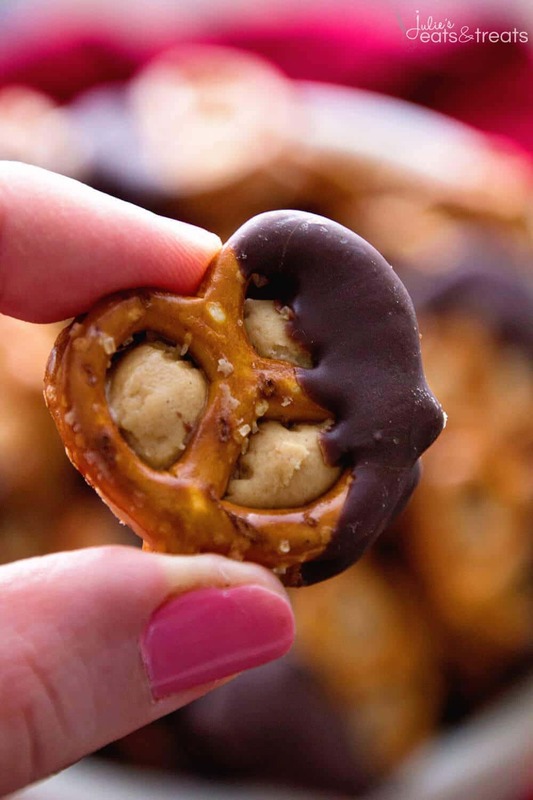 Chocolate Dipped Peanut Butter Pretzels ~ Delicious peanut butter stuffed between two pretzels and dipped in chocolate! Those are so cute! 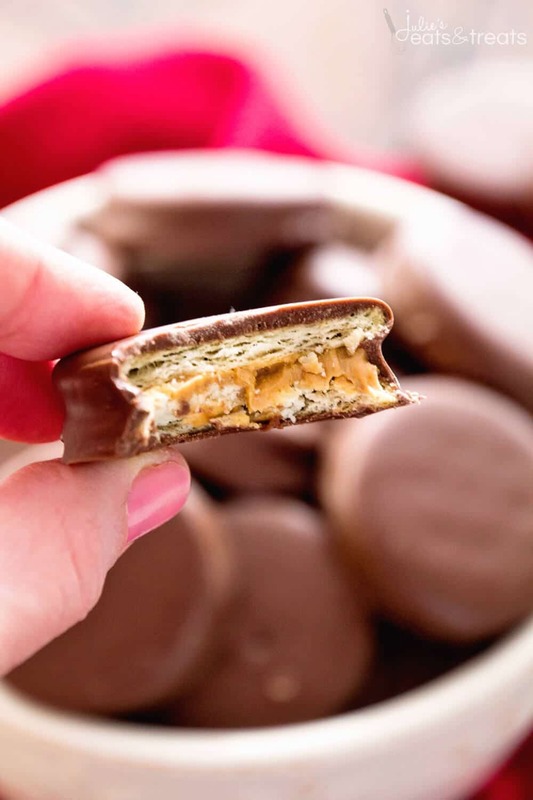 I need to make them. And I must have missed it before….but congrats on expecting too!! 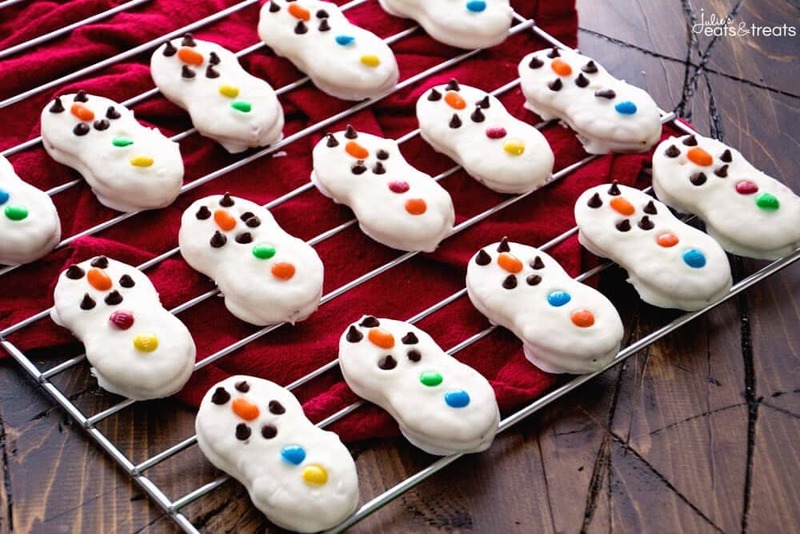 Those snowman cookies are so cute and seem easy to make. What a fun project to do with the kids over Christmas vacation. Thanks for sharing.